A video has surfaced online which will silence Coke Zero skeptics once and for all. 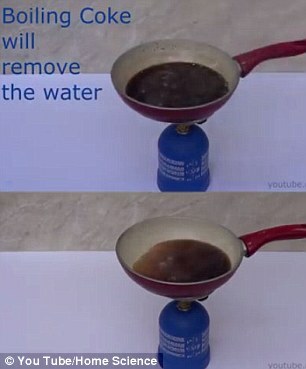 In an online experiment shared by Home Science, bottles of Coke and Coke Zero were both boiled to show the disturbing amount of sugar in the normal soft drink. While a bottle of Coke Zero dissolved to only a tiny amount, regular Coke is found to contain an obscene amount of sugar in a 375ml bottle. The video first pours a bottle of normal Coke into a pan and brings it to boil as the water slowly breaks down and a congealed mass of sugar remains. Coke Zero is then brought to boiling point and as the water dissolves only a small amount of caramelised sugar is left behind in the pan. 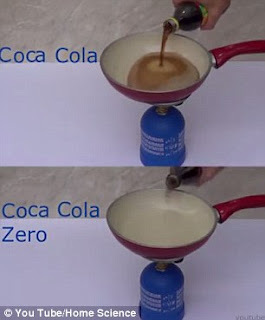 A side-by-side comparison of the sugar contents in classic Coke and Coke Zero will please anti-sugar cultists and frighten regular Coke drinkers. 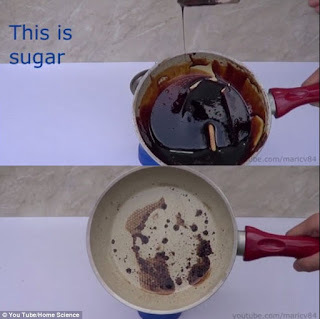 The creator of the video points out the mass of brown goop left in the pan after boiling a bottle of classic Coke is caramelised sugar.